Really Cool Gifts with a Purpose! 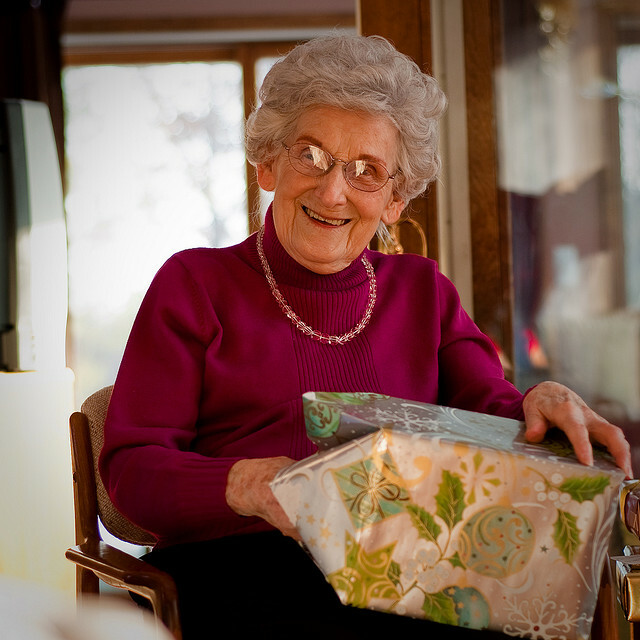 Giving a really cool gift makes two people happy — you and the person who receives your gift! How do you know what makes a gift “cool?” Well, it’s pretty simple. A cool gift is something that that makes life easier or more interesting and fits that person’s lifestyle! 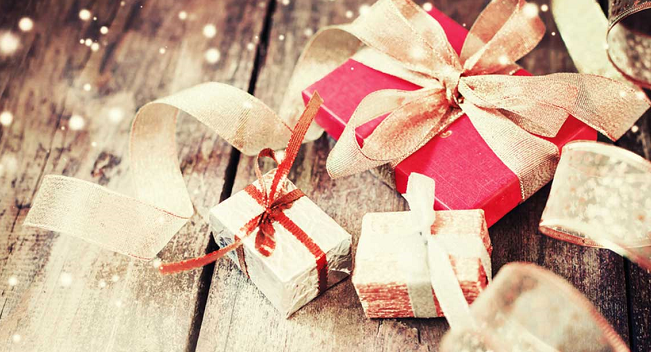 So before you settle for giving another sweater or scarf, take a look at our lineup of really cool gifts that will definitely impress everyone on your shopping list. We’ve grouped them by “purpose” to make it easier for you to shop and choose the right gifts for your friends and loved ones. Low Cost Protection with Smartphone Alerts — The Elertus WiFi Smart Sensor is the economical way to protect valuables against light, heat and theft. Whenever there is an “event” — such as when a door opens unexpectedly — the wireless Elertus sends a text message or email to up to 5 smartphones. Elertus requires no wiring because it’s battery powered. Its small size makes it easy to position. The Elertus app works with iPhone®, iPad® , iTouch® and Android smartphones. All-In-One Temperature / Water / Power Failure Alarm – The Homesitter is the lowest cost, multi-functional home monitoring system on the market. It protects homes from damage caused by temperature extremes, water leaks or power failures. Homesitter alerts two ways: it sounds an audible alarm and calls up to three telephone numbers. Set-up takes minutes and there are no monitoring fees or installation costs! All you need is a phone line and a power outlet. 24/7 Protection against Leaky Washing Machines — Whether at home, at work or on vacation, a washing machine flood can go undetected for hours or even days, spilling 500 gallons of water per hour onto the floor! A Floodstop Washing Machine Valve Shutoff Kit prevents this kind of disaster by immediately turning off the hot and cold water supply when it detects water under or near the washing machine. Easy to install. 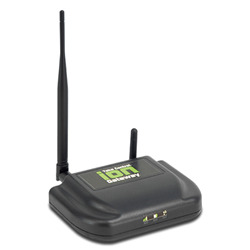 Can be hooked up to a home security system to receive notifications when it’s been activated. WiFi Security Camera that Uses Skype – Watch live streaming video from anywhere on a smartphone, tablet, laptop or PC when the Amaryllo Skype Wireless IP iCam is standing guard. The unique Amaryllo iCam uses Skype’s peer-to-peer technology instead of a third party server to deliver better audio and video. 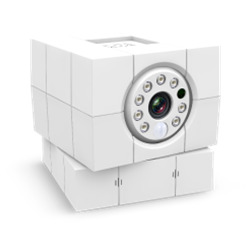 Communicates through the Internet or cellular network and has a pan and tilt camera that can be controlled remotely. Great for home security as well as other remote monitoring applications, such as checking in on baby, pets or grandparents. DIY Home Security with “No Skills” Installation — Here’s an affordable wireless security system that installs in minutes. Because there are no wires to run or holes to drill, it’s perfect for do-it-yourselfers with no skills! It’s a great solution for older homes too. The STI Burglar Stopper System is controlled by a Smart Panel that monitors wireless sensors in up to 8 zones. Comes with 2 door/window sensors, 1 motion sensor and a remote key fob controller. Accepts an unlimited number of add-on sensors. 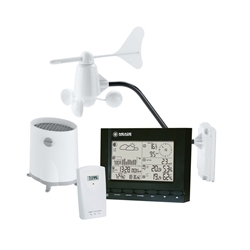 Easy to Use Indoor/Outdoor Weather Station Measures Rainfall – Here’s a professional wireless weather station that novice weather buffs will really enjoy using. This fully-functional weather station by Meade Instruments has a 30-day rain gauge and large, easy to read display that reports temperature, humidity, wind speed, wind chill, wind direction, current barometric pressure, moon phase, time and day, and more. Its clock always shows the correct time because it automatically sets itself to the U.S. atomic clock. Dependable Weather Radio with Four Power Options – A weather alert radio automatically announces official, up-to-the-minute information on weather, local hazards and other emergencies. The Midland ER-102 7-Channel Emergency Crank Weather Radio with its four power options makes a great gift for any household. If there’s a power outage or the batteries are depleted, this radio still works by using the hand crank. Receives and reports NOAA weather alerts and has AM/FM stations, a built-in flashlight and an alarm clock. Programmable Pet Feeder Dishes Out Just the Right Amount – For home-alone pets — especially those with gluttonous appetites — the Petmate Le Bistro Programmable Feeder prevents overeating by dispensing portion-controlled amounts of food at set times. This automatic feeder is a great gift for working families. Pets stay nourished throughout the day and pet care chores are made easier. 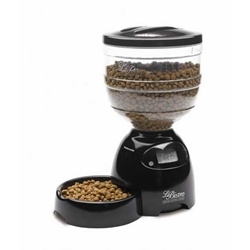 Feeder holds 5 or 10 pounds of food and features a large LCD screen and built-in meal counter. The bowl is removable for easy cleaning. Doggy Life Jacket Protects Dogs of All Sizes — Not all dogs are good swimmers, especially certain breeds and aging animals. A doggy life jacket protects pets from drowning when they’re around pools, open water and on boats. We like the Pawz Pet Products Neoprene Dog Life Jacket that comes in bright yellow and purple with reflective strips for maximum visibility and a handle on top for quick and easy grabbing. Super Soft Life Vests for Pools and Paddling Sports – Swimmers of all ages will tell you that these lightweight, smooth vinyl life vests are the MOST comfortable ones ever! In fact, Texas Recreation’s Super Soft Life Vests are the same life vests used by major water theme parks! They dry quickly and are comfortable for hours of continuous wear. Available in sizes from toddler to adult. Easy to pack to bring on vacation. Safety Turtle Pool Alarm Kit that You Customize — Families love the Safety Turtle water immersion system for protecting young children around open water. 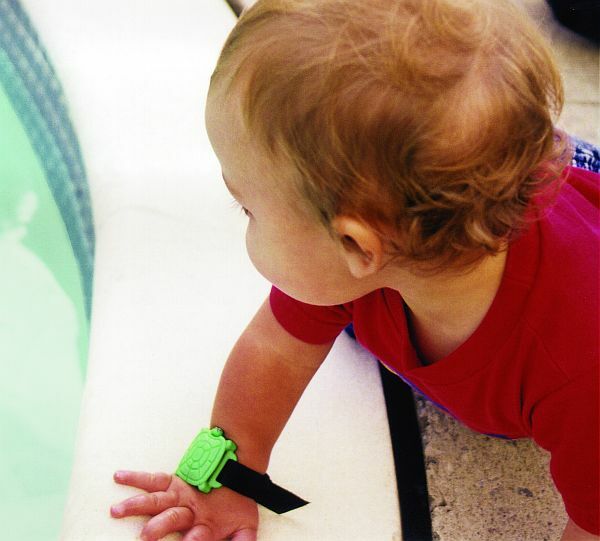 The alarm activates when a child wearing a Safety Turtle wristband falls into a pool, spa or other fresh water. Customize your Safety Turtle system to also protect pets by adding special pet collar sensor attachments. Dual TV Ears Lets Each Person Listen at Their Own Volume Level — Here is a great gift for couples! The TV Ears 5.0 Digital TV Listener with Speaker System lets two people enjoy television at whatever volume is most comfortable for each of them without bothering their companion or others in the room. Digital TV Ears amplifies voice pitch frequencies above other sounds, so words, whispers and accents are easier to understand. Works with just about any TV. Dual TV Ears comes with two wireless headsets that recharge at the same time on the transmitter base. 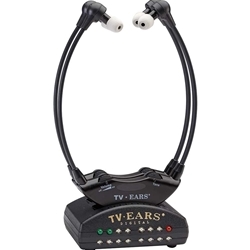 Digital TV Ears is also available with a single headset. Amplified Phone Makes Talking on the Telephone More Enjoyable — Amplified phones make it easier for people with hearing loss to enjoy loud, clear telephone conversations. The Amplicom PowerTel 7 Series corded phone has all of the features seniors need in a telephone: big easy-to-read buttons, extra loud ringer, built-in answering machine, adjustable illuminated display, speakerphone, caller ID and more. Add extra cordless amplified handsets to place in other rooms and a wristshaker speakerphone so they’ll never miss a call, even when they’re outside. 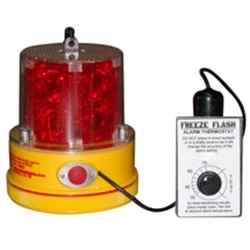 Low Temperature Alert Warning Light for Vacant Homes – Here’s a gift idea for traveling homeowners to help protect their vacant house from freezing pipes and water damage — the popular Freeze Flash Battery-Powered Low Temperature Warning Light. Place it in a window that’s highly visible from the road and if the heat fails and the inside temperature drops below 30oF, neighbors will be alerted by the flashing red. Cellular Alarm that’s Compatible with Verizon Wireless — The DIY Cellular Alarm for Homes is one of the most affordable cellular-based alarms for homes without a landline phone or Internet connection. It operates on the Verizon Wireless network and sends text message alerts to up to three smartphones or mobile devices. This dual-sensor alarm alerts for power outages and comes with a water sensor and sumpbobber to monitor sump pumps and leaks in the basement, utility room and underneath appliances. 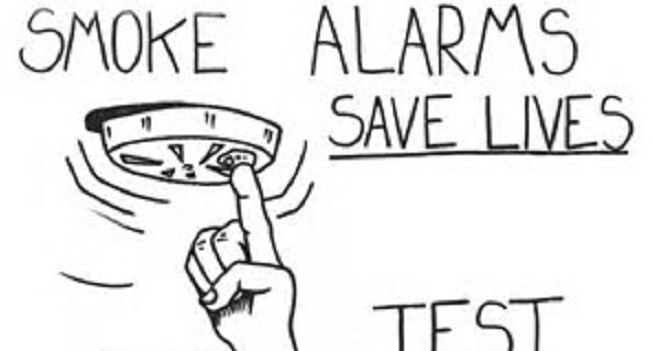 It can also be used to monitor high or low room temperature, humidity, smoke, carbon monoxide, water pressure, water level, motion and more by purchasing one of the optional sensors. 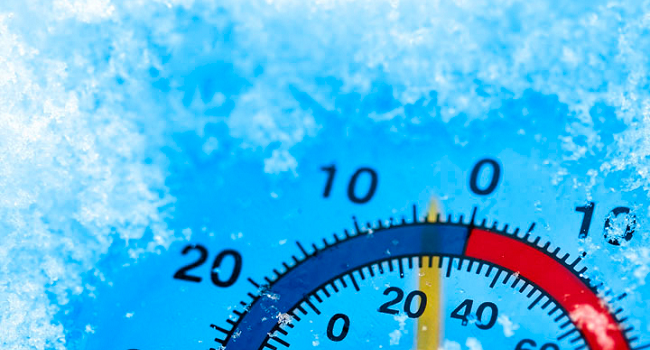 Callout Freeze Alarm for Homes without Phone or Internet – A freeze alarm protects against costly damage caused by frozen pipes that burst by alerting homeowners when the inside temperature begins to drop. Instead of communicating via a landline phone or Internet connection, the Metropolitan Ion Cellular Gateway with a temperature sensor sends out temperature warning text messages or emails using a T-Mobile cellular connection. 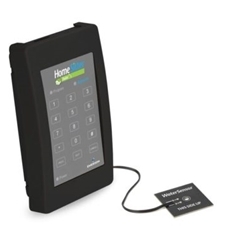 This device can also be used to monitor for power outages, water, motion, open/closed doors and windows by adding other sensors (sold as accessories). Want More Cool Gift Ideas? There are lots more cool gift ideas on the diycontrols.com store. We have an extensive line of interesting and useful devices designed to make everyone’s life easier, safer and more interesting, including home and garden gadgets, freeze and heat alarms, nanny cams, vacation home monitoring systems, DIY security systems, pool safety equipment and more. Please don’t hesitate to call us at 1-800-487-1363 if you have a product or technical question. Or, send us an email to support@diycontrols.com.